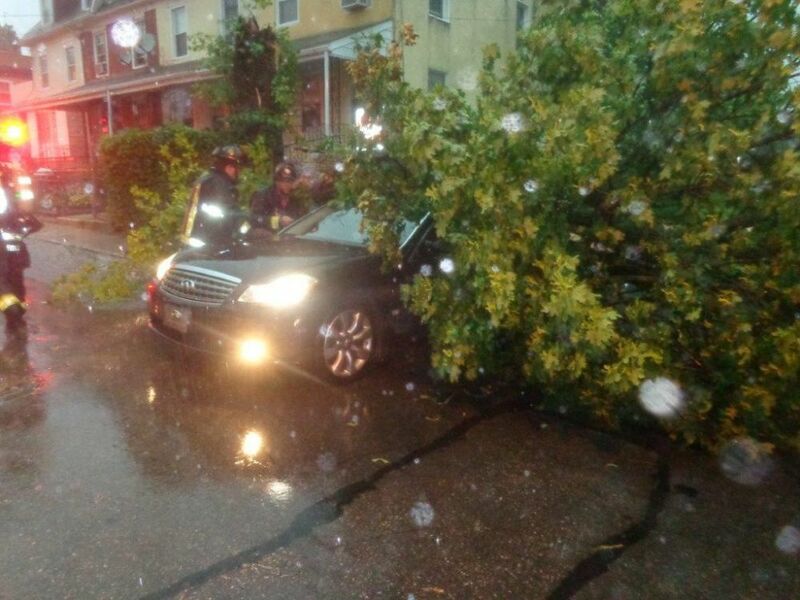 Around 6PM a line of strong storms rolled over the township alerting township volunteers for numerous calls for service. 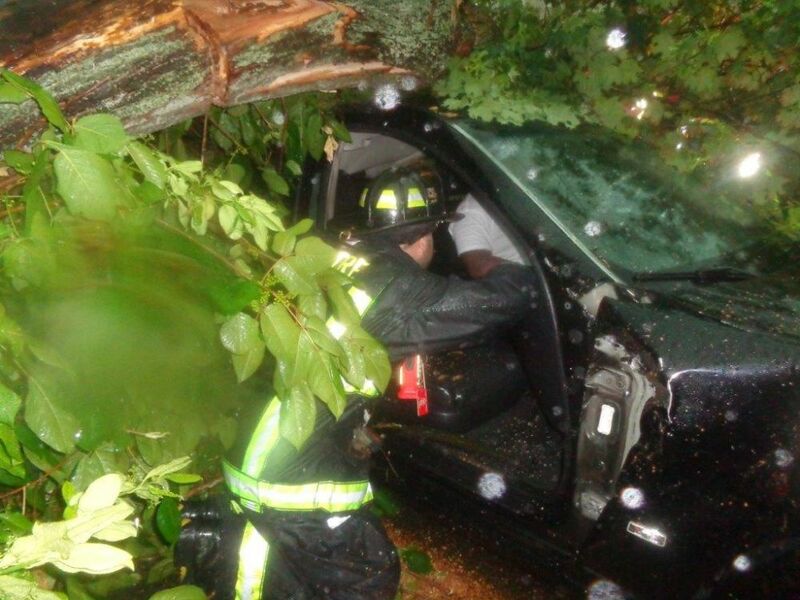 The Rescue Assignment was dispatched to Spring and Lippencott Avenues for a reported tree on top of an occupied auto. 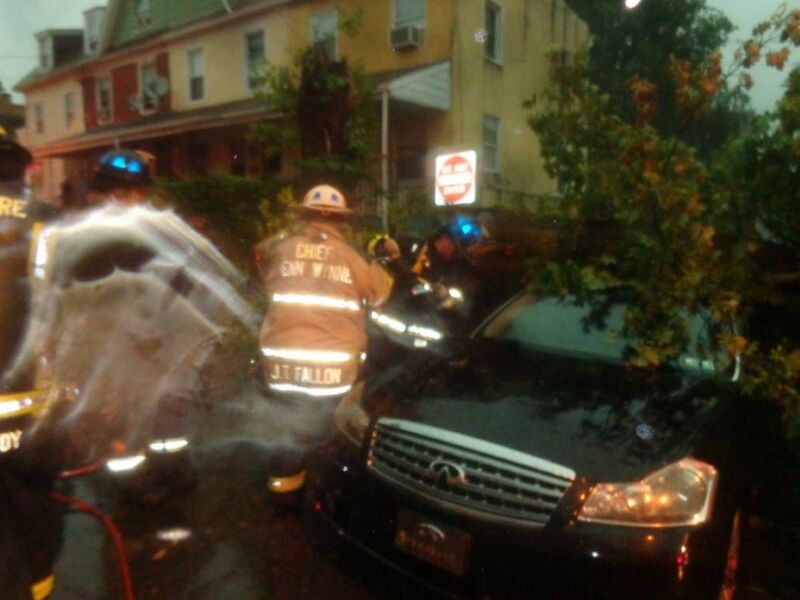 Engine 25 (Ardmore) arrived to confirm one occupant trapped in the car. Rescue 21 arrived and removed the passenger side door so medics from Narberth Ambulance could asses, package, and transport the patient to the hospital. Rescue 22 (Belmont Hills) also made the response.